Blending the elements of Gothic and Metal Music with female vocals and lyrics commonly centered around themes like the supernatural, The Dreamside, Formed by vocalist Kemi Vita in 1993, opened their account the same year with Pale Blue Lights on Nuclear Blast. Consistent and well-received live shows helped spread the word about the band and resulted in a follow-up release in 1996, a rather surprising dance mini-album entitled Nuda Veritas. Released in 1997, Apaika revealed both the power and the diversity of the band. Apaika is a very mixed album, very diverse; there’s some acoustic material, guitars, grand piano, some ethnic influences, flute, didgeridoo, different forms of percussion, all mixed with some heavier songs. The album Mirror Moon finally appeared in May 2001, and indeed marks something of a new start for the band. Guitars were a little louder and an album was created where metal, gothic, electro and ambient elements became equal. 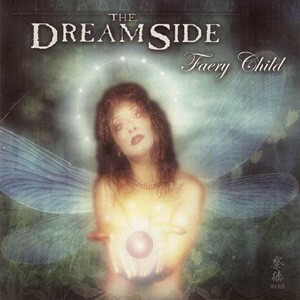 A further turning point in the band’s career came in 2003 when Dancing Ferret Discs put together Faery Child, a compilation of The Dreamside’s material for the American market. Faery Child featured a cross-selection of the band’s material, together with two previously unreleased songs from the Mirror Moon album sessions and a remix by Cruexshadows of Fairy Child. 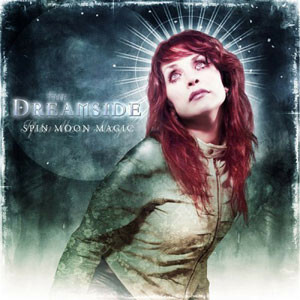 2005 saw the release of Spin Moon Magic and a single, Open Your Eyes, taken from it, a duett with Rogue from The Cruexshadows “A masterpiece of the Metal Female Voices genre,” is how UK metal magazine Fireworks described it: “a truly outstanding album which moves you from the depths of despair to full-on dance-floor mania”. Spin Moon Magic went into the alternative chart top 5 of Germany, Italy, France, Belgium and The Netherlands. The readers of US music magazine “Gothic Beauty” elected The Dreamside as the “Best Band Of The Year 2005” and the Belgium magazine “Sideline” honored the band with the title “Band Of The Season”. Compilation Album with The Cruxshadows, Paralyzed Age, and Thou Shalt Not.